The plaintiffs now aggressively emphasize “lawful presence” as the primary supposed effect of both the Deferred Action for Parents of Americans and Lawful Permanent Residents (DAPA) initiative that they seek to invalidate and its predecessor, Deferred Action for Childhood Arrivals (DACA). 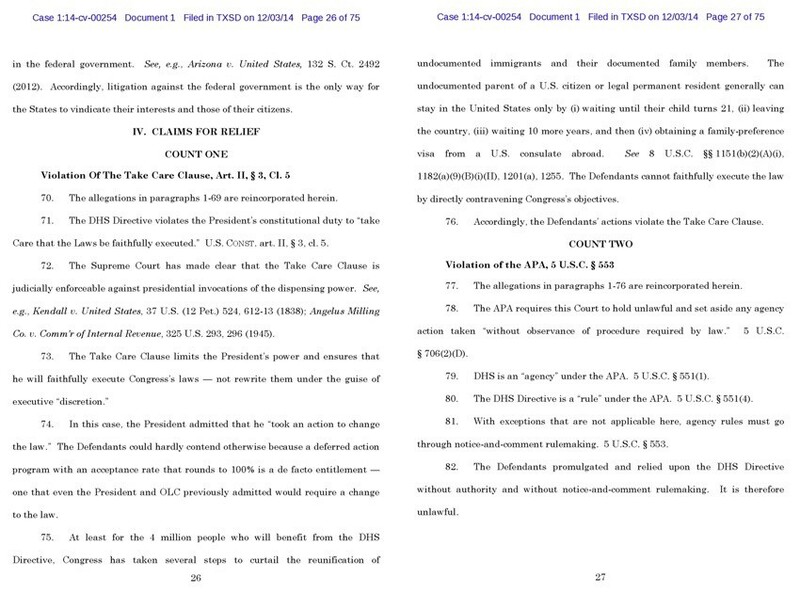 DAPA is unlawful, they argue, primarily because it “affirmatively grants lawful presence and eligibility for work authorization, as well as a host of other benefits.” Like Judge Jerry Smith of the U.S. Court of Appeals for the Fifth Circuit, who affirmed the district court injunction that blocked DAPA, the plaintiffs thereby characterize the phrase “lawful presence” as a formal immigration status or a legal classification with some sort of overarching, unitary, and coherent meaning, across the various legal provisions where similar (but not always identical) language is used. As I have previously explained—and as both the government and intervenors effectively elaborate in their Supreme Court reply briefs — these arguments about “lawful presence” are ultimately a charade. However, it is also strange that any of us are talking about “lawful presence,” eligibility to apply for employment authorization, and some of the other issues that the plaintiffs now foreground before the Supreme Court at all — because for the most part, the plaintiffs did not make any of those arguments in the district court. How did this case morph into what it has now become?